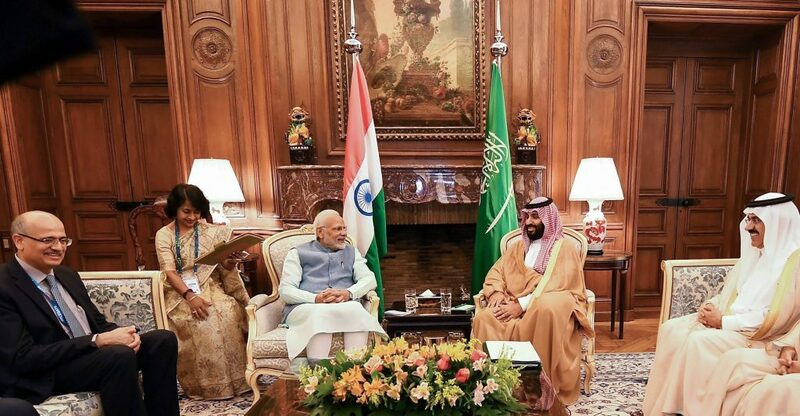 Modi government spent a lot of energy to make India-Saudi relations stronger, but rapidly evolving geopolitics have created a difficult situation for New Delhi. 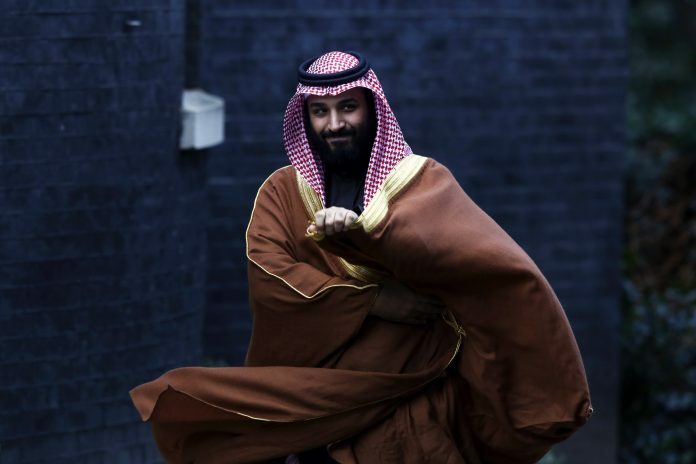 The upcoming visit of Saudi Arabia’s crown prince, Mohammed bin Salman (MBS), to India is not a routine affair. The trip to India is evidently timed to burnish his legitimacy after the international opprobrium that followed the murder of The Washington Post journalist Jamal Khashoggi. But the visit also comes at an important juncture in the geopolitics of southwest Asia as well as in the bilateral relationship between the two countries. India’s own tightrope with Iran, and Pakistan’s recent manoeuvrings with the Saudis create a tricky set of issues for New Delhi to navigate with the Saudis. Prime Minister Narendra Modi’s government has invested considerable time and energy in fostering stronger relations with countries in West Asia, especially Saudi Arabia and the UAE. Modi’s visit to Riyadh in 2016 gave a fillip to security and economic ties with Saudi Arabia. More recently, Modi met MBS on the sidelines of the G20 summit in Argentina, and the latter spoke of Saudi investment in India’s national investment and infrastructure fund. Foreign Secretary Vijay Gokhale said, “We expect that in the next two to three years there will be significant scaling up of Saudi investments in India”. India, for its part, has refrained from even a hint of disapproval of Saudi Arabia disastrous military intervention in Yemen or its misguided attempts to isolate Qatar—never mind the brutal assassination of Khashoggi. The Modi government’s approach to Saudi Arabia has broadly been continuous with the pattern of bilateral relations since 2006. That year marked an important breakthrough in the history of the relationship. In January 2006, King Abdullah bin Abdul-Aziz visited India—the first visit by a Saudi monarch in 51 years and the first top level bilateral visit since Indira Gandhi’s trip to Saudi Arabia in 1982. During the early years of the Cold War, Riyadh put itself firmly in the American camp, while New Delhi stood against all alliances. Two developments in the 1970s drove them further apart. The defeat of Pakistan in 1971 followed by the oil crisis of 1973 set the stage for closer ties between Pakistan and Saudi Arabia. Following the Soviet intervention in Afghanistan in 1979, Saudi Arabia cooperated closely with Pakistan and the US in financing the Mujahideen’s fight against the Red Army. India sought to adopt a more nuanced stance: it did not openly condemn the Soviet invasion, but privately urged Moscow to pull back. In any event, the gulf between their positions was evident. Despite Indira Gandhi’s visit, it could not be papered over. In the immediate aftermath of the Cold War, too, the relationship remained in choppy waters. India’s ambiguous stance on the Iraqi invasion of Kuwait and the subsequent developments antagonised the Saudis, who saw themselves as the next target of Saddam Hussein’s expansionist ambitions. Further, with the onset of the insurgency in Kashmir, the dispute between India and Pakistan once again attracted international attention. 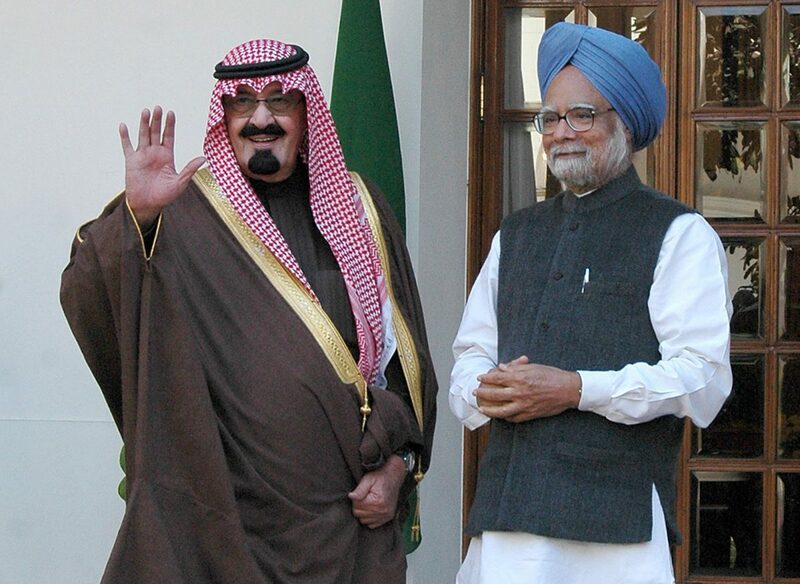 The Saudi stance on this issue was a constant irritant to India. Nevertheless, during this period relations between the two countries were also developing along other dimensions. As India’s economy liberalised and grew rapidly, energy resources became a major driver of the relationship. Saudi Arabia emerged as the largest supplier of oil to India, while India counted amongst biggest importers of Saudi oil. Equally important was the growing community of expatriate Indian workers (currently over 3 million) in Saudi Arabia and their remittances back home. The ‘Delhi Declaration’ signed during King Abdullah’s visit in 2006 called for a closer economic engagement and energy partnership. During Prime Minister Manmohan Singh’s visit to Riyadh in 2010, security cooperation—especially, against terrorism—emerged as another key domain. While the Modi government has deepened ties along these axes, it has also attempted to draw Saudi investment into India. The centrepiece of these efforts is the massive refinery complex—capable of processing 1.2 million barrels of crude oil daily—being planned in the Ratnagiri district of Maharashtra. The Saudi oil giant Aramco and the Abu Dhabi National Oil Company have acquired 50 per cent stake in the $44 billion project. This project introduces a new dimension to the political economy of the India-Saudi relationship. For one, it moves economic ties beyond oil supply and remittances. For another, it simultaneously serves Aramco’s global downstream plans and India’s desire for energy security as well as its interest in attracting FDI. Yet this apparently ‘win-win’ project has faced serious local resistance. Farmers cultivating the region’s famous Alphonso mangoes have refused to give up their land for this project. Besides, there are wider concerns about its impact on cashew plantations and fisheries. Not only have opposition parties like the Congress and the NCP backed the protestors, but ruling coalition partner Shiv Sena has also been vociferous in its criticism of the project. In November 2018, the chief minister of Maharashtra told the legislative assembly that the process of land acquisition has been stayed. If the Modi government is unable to press ahead with the project in a BJP-ruled state, its credibility in attracting further investments from the Saudis (or the UAE) will surely be called into question. Equally problematic for New Delhi is the rapidly evolving geopolitical context of southwest Asia. Mohammed bin Salman’s keenness on ties with India is driven, at least in part, by his desire to box Iran into a corner. With the Trump administration re-imposing sanctions on Iran, the Saudis will want to prevail upon countries like India to minimise their dependence on oil imports from Iran, and so squeeze the latter. To be sure, India has got a waiver from the Trump administration—but this might turn out to be only a reprieve. In any event, India can hardly afford to allow its ties with Iran to erode against the backdrop of the end-game in Afghanistan. Further, it is unclear what role the Saudis will play in the unfolding negotiations with the Taliban. At the moment, their rival Qatar seems positioned better in this respect. But the Pakistanis will likely look to Saudis to weigh in—not least because of Islamabad’s own travails with Washington. With the 2019 general elections looming, however, it is not clear the Modi government has the time and attention to make significant progress on any of these fronts.